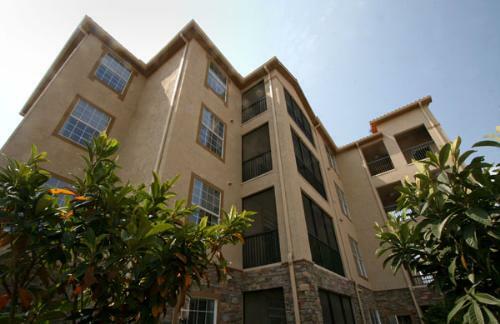 Enjoy 1, 2 and 3 bedroom condos in the beautifully landscaped Tuscana Resort. 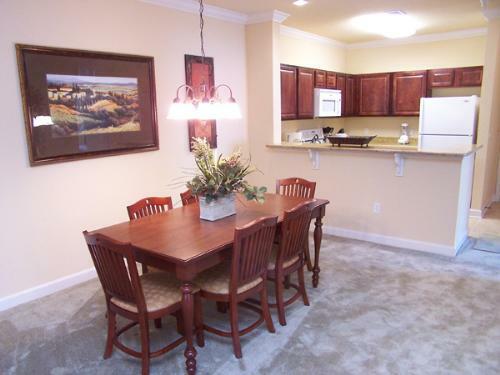 All condos are fully furnished, including a screened in porch, washer and dryer, and a fully equipped kitchen. 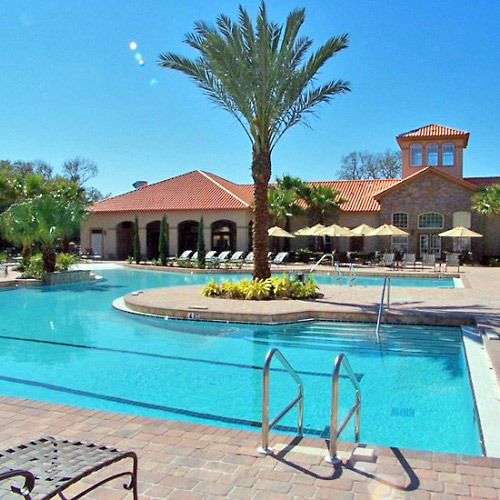 The resort boasts a large swimming pool, 30 seat movie theater, restaurant, bar, Wifi, and spa services. 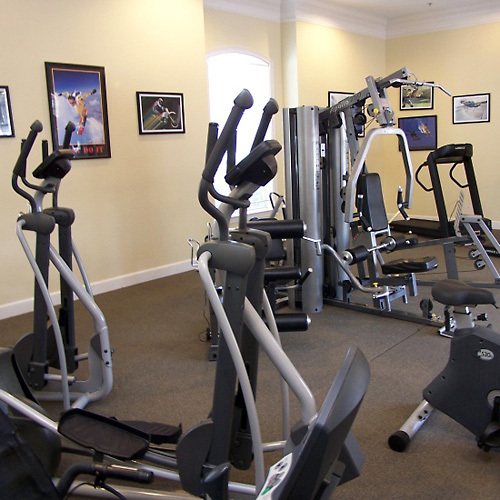 For the convenience of guests, the resort provides ample parking spaces within the gated community. 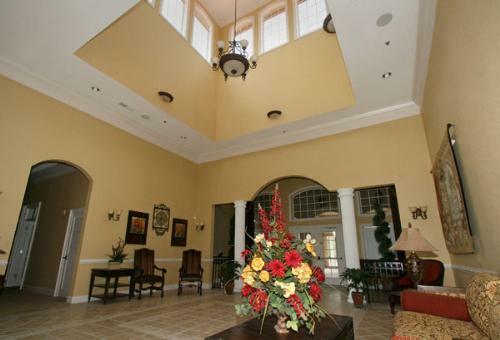 Situated 1.3 miles from Championsgate Golf Club, 4 miles from Disney World and 9 miles from Old Town. 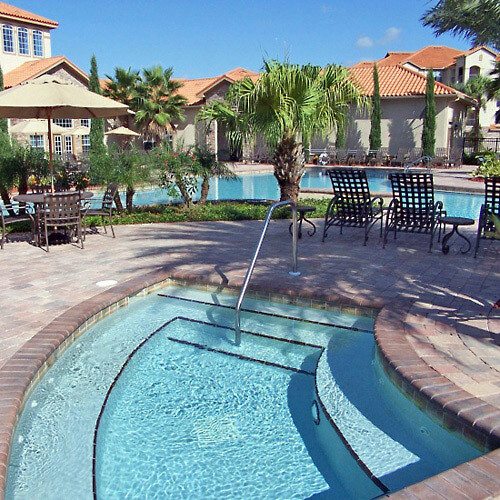 Enjoy the outdoor pool, poolside bar, and private movie theater. Units have fully equipped kitchens. 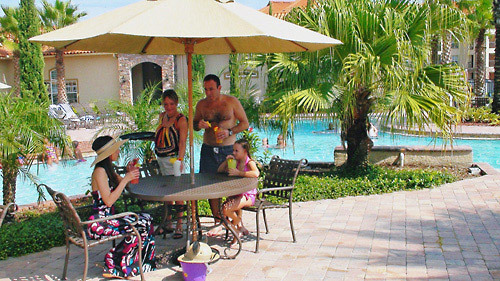 A daily resort fee per night will be collected directly from the guest upon check in. 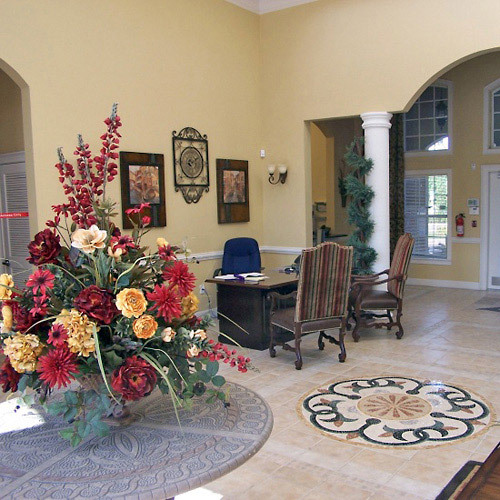 Cleaning fee is due upon check in varies per unit for the length of your stay, plus taxes. 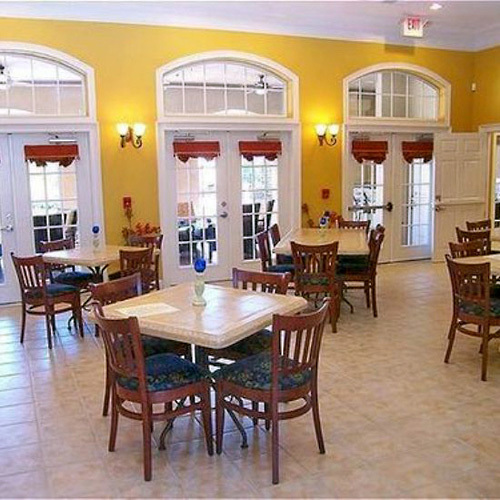 Our resort offers 1, 2 & 3 bedroom condos with full kitchen, washer & dryer, and 2 full baths. 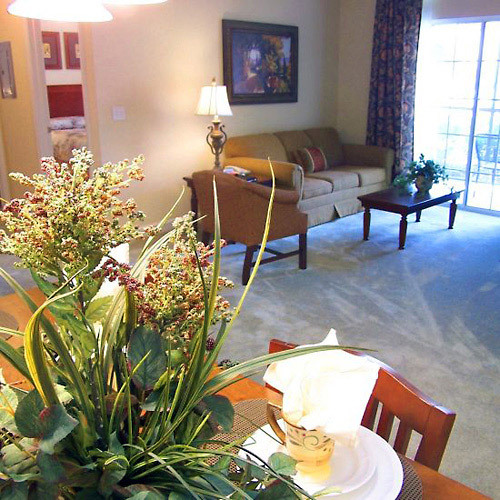 All of our condos are fully furnished and offer you a place to call home. 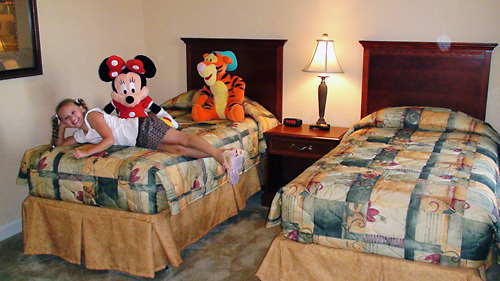 Tuscana is located only 4 miles from Disney World, with easy access to all other parks. 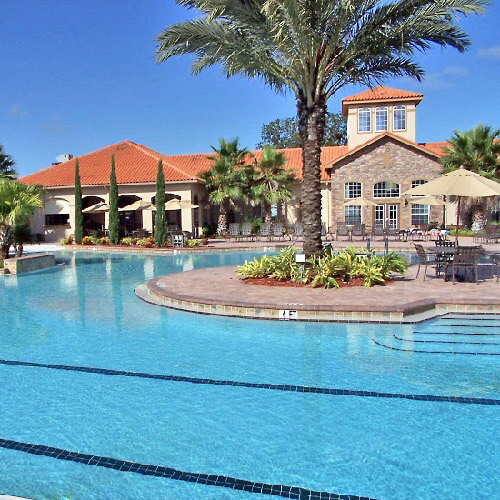 Our beautiful pool area offers the perfect place to relax under the Florida Sun. 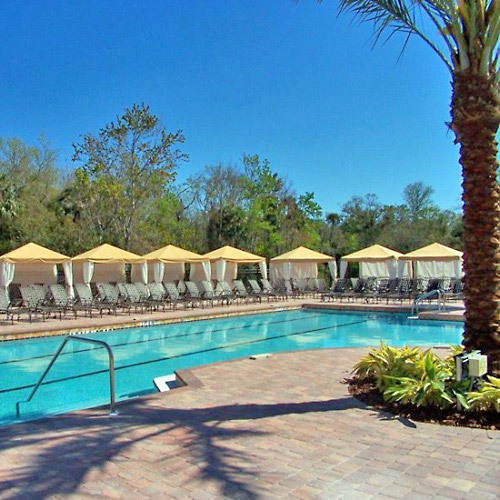 Our heated pool is open year round with cabanas lining the pool area. 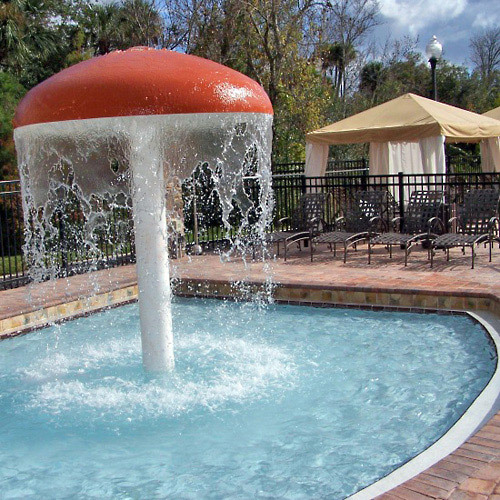 We also have a jacuzzi, a children's pool with its own fountain, and a poolside bar & tavern. 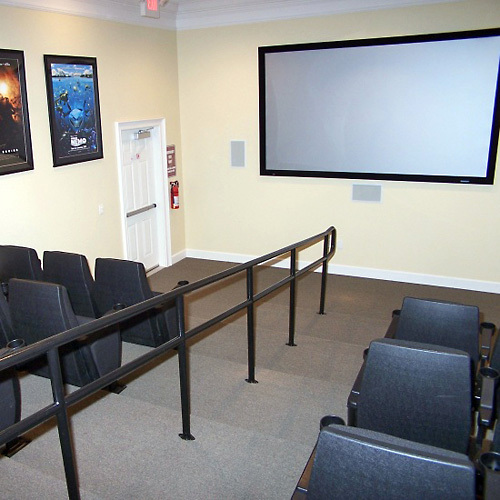 After soaking up enough Florida sun, step inside and relax in our 35-seat private movie theater or enjoy our fitness center. All reservations for less than 5 nights are subject to a short stay cleaning fee: $68 plus taxes for a 1BR or 2BR and $80 plus taxes for a 3BR. This fee is collected upon check-in. For the security deposit, guests may choose a $300 hold on a major credit card that will be released after check-out or a $39 non-refundable Property Protection Fee. Please request cribs (Pack n Play) prior to arrival. The cost is $5/night + tax. A daily Amenity Fee of $21.56 (plus 7% Florida Sales Tax & 6% Osceola County Tax) will be imposed and will be collected directly from the guest upon check in. Tuscana Resort is a self-catering resort. What does this mean? Self-catering means there is no daily housekeeping. The condo is cleaned before the guest arrives and then after the guest’s departure. The condo is equipped with a starting kit which consists of toiletries, toilet paper, and dishwashing liquid for the first day. After the starter kit runs out, each guest is responsible for purchasing all other supplies they will be using during their stay. Where can I buy extra supplies after the start kit runs out? There is a Publix supermarket and a Walgreens pharmacy within half a mile from the resort for all the supplies you may need. Does the resort offer concierge services? Yes. Guests can book tickets, tours, and other activities through our on-site concierge service. Are smoking villas or rooms available? No. All of our rooms are non-smoking. 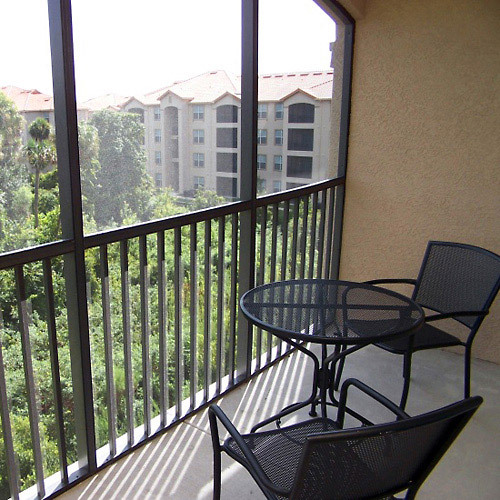 Guests are allowed to smoke in the public outdoors areas and in the screened-in patios in the condos. Guests that smoke in the condos are charged a smoking fee to cover special cleaning. 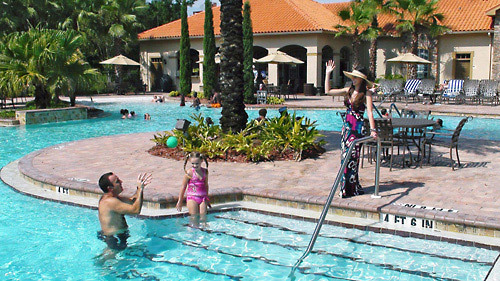 The regular pool hours are 8:00 am - 10:00 pm every day. Our pool is seasonally heated. The pool is open all year round. Please keep in mind, if the outside temperature drops below 55°F the pool temperature will drop. 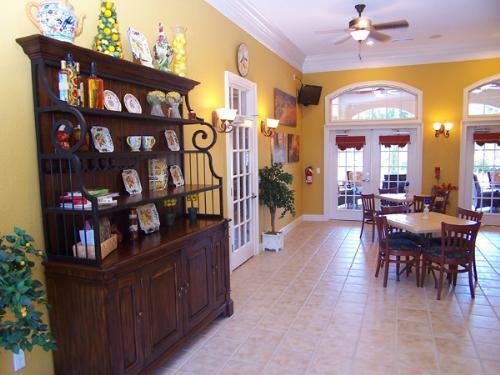 We welcome pets at Tuscana Resort. There is a maximum of two pets per unit and the weight limit is 25 lbs. There is a one-time, non-refundable $250 pet fee due at check-in. We offer pack and plays for rent at a nightly cost of $5 plus tax. Please note your request for a crib in the “special needs” box when making your reservation.